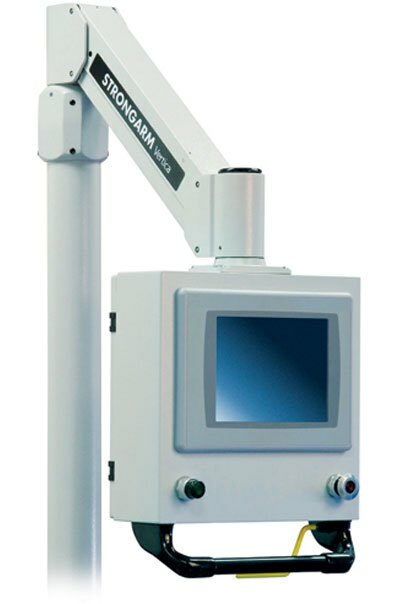 Strongarm manufactures operator interface systems and industrial displays for general industry, pharmaceutical, food, clean room, packaging, transportation, and more. 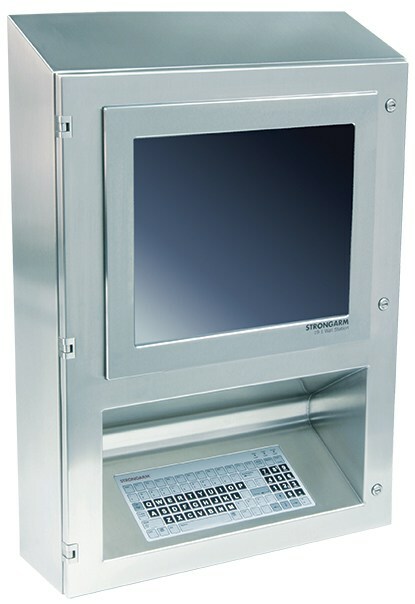 Operator Interface Terminal Mounting enclosures are built to meet your exact terminal specifications. The counterbalanced vertical motion of the Vertica Arm allows the operator to effortlessly lift, lower and reposition the HMI enclosure using one hand by pulling on the on the release handle, once released the arm automatically locks in the vertical position. NEMA Type 4 and 12 units are made from powder coated carbon steel and cast aluminum while Type 4X units are fabricated from either 304 or 316L Stainless Steel. Strongarm offers complete integration services for all Operator Interface Mountings, including customer supplied component integration, electrical wiring or customer specified and Strongarm procured and wired components. The MightyMount defines a category of its own. Easily differentiated from the slew of “computer store” grade mountings, the MightyMount is built like a piece of machinery using heavy duty components. While similar in outward appearance, its robust, die-cast aluminum construction and simplified functionality is favored among OEMs and end-users alike. Strongarm Wall Stations can be easily customized to fit your wall mounted operator interface need. 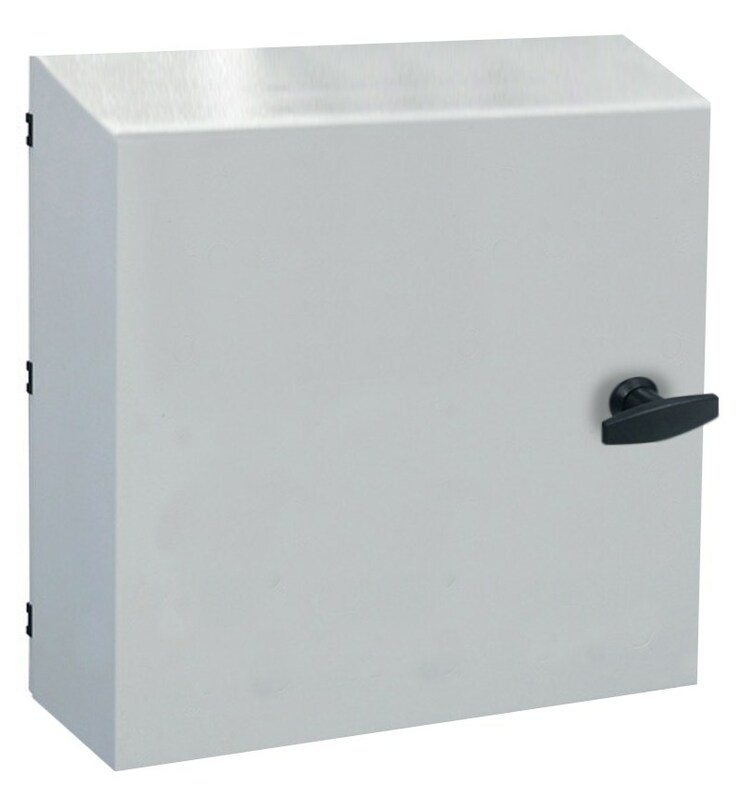 Choose from wall mount tabs or thru holes in the rear of the enclosure, inset or wedge style keyboard housing and standard panel mount or aseptic displays. NEMA Type 4 and 12 units are made from powder coated carbon steel and Type 4X units are fabricated from either 304 or 316L Stainless Steel. Like all of Strongarm’s products, the Wall Station is engineered to order allowing us to modify your system to meet your specific requirements. 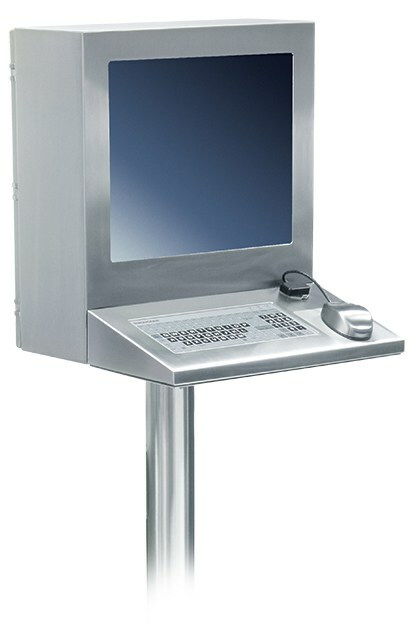 Strongarm’s Floor mounted Pedestal Stations can be easily customized to fit your operator interface need. 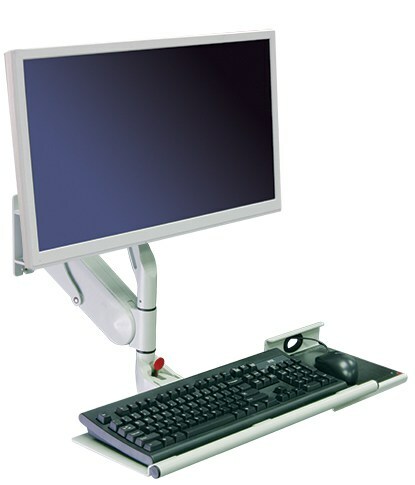 Choose from swivel, fixed tilt, yoke and counterbalanced tilt mounting options. NEMA Type 4 and 12 units are made from powder coated carbon steel and Type 4X units are fabricated from either 304 or 316L Stainless Steel. Like all of Strongarm’s products, Pedestal Stations are engineered to order allowing us to modify your system to meet your specific requirements. Strongarm offers complete integration services for all Operator Interface Mountings, including customer supplied component integration, electrical wiring or customer specified components procured and wired by Strongarm. R.R.Floody Company is a Strongarm distributor in Northern Illinois, Iowa and Southern Wisconsin. We offer technical support to help our customers solve their applications.